A marketing strategy means nothing if you’re not targeting the right buyers. The first few weeks a house is on the market are vital. The longer a home remains on the market, the more likely a seller will have to reduce their listing price and/ or offer incentives, such as gift cards, bonuses or even cars, to attract and find the right buyers for your home. Buyers are looking for a deal on a home, and they’ll hire an experienced agent to negotiate the purchase for them. Having a real estate pro on your side will even the playing field and help you negotiate the terms of the sale with your best interests in mind. Sellers typically update their homes before they list. While ￼some simply paint each room a neutral colour and do a thorough cleaning, others may do a kitchen or bathroom remodel to boost their home’s value and/ or help it sell faster in a competitive market. What should you do to boost your home’s value and give it the competitive 10 edge in our market? Ask me! I work alongside other local real estate professionals who may have clients looking for a home just like yours. 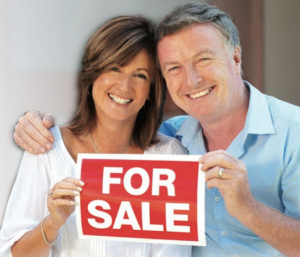 Marketing your home to other agents is another way to help us find a qualified buyer. If you’ve been thinking of selling your home, give me a call! We’ll discuss your home’s value, answer any questions you have and give you the scoop on our local market.